The blog enters its postdoc phases in the new academic year and after the summertime siesta. There are a few exciting research projects that I’m going to be involved in throughout the year, so I plan to publish short posts about different but intersecting academic interests. Updates on the Storycircle project, which I joined as a research assistant in July, appear here. Apart from thinking about digital media, public engagement and expertise, I’m also going to be thinking a lot about smart grids, wearable sensors and synthetic meat, especially once my 28-month research fellowship in the EPINET project commences in January. In preparation is at the moment my book review for the Gender, Media, Film and Cultural Studies section of the Times Higher Education (THE) Textbook guide (Issue November 2012). This means that I’ve skimmed through a few interesting books in the process – short reviews of which I’ll provide here. I may find time to write about the excellent times at Crossroads ACS in Paris, hopefully before ECREA in October. 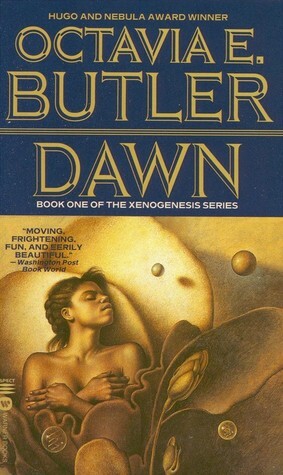 But my priority is to post my bit about Lilith’s Brood, Octavia Butler‘s science fiction trilogy that I enjoyed reading over the summer vacation (Wikipedia provides the further reading list, which I haven’t checked but pasted below) – and possibly a bit about the Windup Girl. Federmayer, Eva. “Octavia Butler’s Maternal Cyborgs: The Black Female World of the Xenogenesis Trilogy.” HJEAS: Hungarian Journal of English and American Studies 6.1 (2000): 103-18. Haraway, Donna. “A Cyborg Manifesto: Science, Technology, and Socialist-Feminism in the Late Twentieth Century,” in Simians, Cyborgs and Women: The Reinvention of Nature. New York: Routledge, 1991: 149-181. Holden, Rebecca J. “The High Costs of Cyborg Survival: Octavia Butler’s Xenogenesis Trilogy.” In Foundation: The International Review of Science Fiction, No.72 (Spring 1998): 49-57. Jesser, Nancy. “Blood, Genes and Gender in Octavia Butler’s Kindred and Dawn.” Extrapolation: A Journal of Science Fiction and Fantasy 43.1 (2002): 36-61. Osherow, Michelle. “The Dawn of a New Lilith: Revisionary Mythmaking in Women’s Science Fiction.” NWSA Journal, Vol. 12, No. 1 (Spring 2000): 68-83. Peppers, Cathy. “Dialogic Origins and Alien Identities in Butler’s XENOGENESIS.” Science Fiction Studies. No. 65, Vol. 22, 1995. Slonczewski, Joan. “Octavia Butler’s Xenogenesis Trilogy: A Biologist’s Response.” Presented at SFRA, Cleveland, June 30, 2000. This entry was posted in notes on August 30, 2012 by Aristea Fotopoulou.